Selling some of the unwanted items out of your garage and house will make your packing and moving job less of a hassle. If you are planning to move in the coming months, a great way to organize your home and earn some extra cash is to have a moving sale. You may have more belongings than you need or you may be downsizing and your new living space doesn’t have enough room to fit all of your belongings. Selling some of the unwanted items out of your garage and house will make your packing and moving job less of a hassle. You may want to purchase new furniture for your new place, and a garage sale before your move is the perfect opportunity to unload some of those unwanted pieces of furniture while earning some money to help pay for your new home’s furnishings. 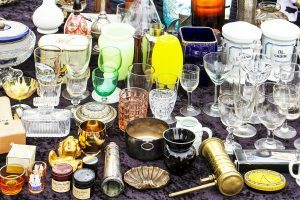 Here is a helpful checklist to guide your garage sale planning and make your event more successful. 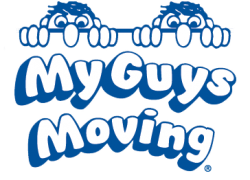 My Guys Moving has been in the moving and storage business for over 25 years, and we have a bounty of tips and hacks to make your moving sale more successful. Facebook is one of our favorite places to keep in touch with friends and family. It just so happens to be a great tool for planning, organizing, and enlisting help for your garage sale. Post an event, post pictures of your big-ticket items, and reach out to anyone who wants to sell items at your sale. A great way to unload larger sale items is to offer to transport your sold furniture and other big ticket items for them. You will need the help of someone with a truck for this. Craigslist is one of our favorite, must use, online resources if you are posting your event online. You can also post pictures of items you are selling and seal the deal in person during your moving sale. An additional place to advertise your sale online is YardSales.net. Here you can see other sales in your area and post your event so people who are planning a garage sale shopping route will be sure to include you in it. Make sure to restore your sale items back to their best condition before your sale. Use bright and vibrant signs to attract people’s attention. Balloons are another great way to do this. Post your signs in highly visible areas and make sure you follow local laws about not posting on public property. Put a map of your location on your signs so people will be able to easily find your sale. People will only try to find your sale location for so long, so make it easy for them to figure out. After you post your signs, do a test drive by them and make sure that they are readable. Before your sale, stock up on shopping bags to give out to customers when they purchase items from you. Stock pile newspapers so you can wrap and protect the fragile items you sell. Make sure you stock plenty of change before your sale begins. Ones, fives, and change of every kind are going to be vital for giving your customers appropriate change. You don’t want to run out of change while the bank is closed during the weekend. Stock up on cheap hangers for the clothes you sell so people will be free to take them along with their purchases. Designate a parking area for your shoppers. Make sure you have an extension cord and batteries ready for testing electronics. Mark your items with a price unless it is pricier. These items may require some salesmanship and a price may scare any potential buyers away. Have plenty of tables set up so your sale items don’t appear unorganized and hard to pick up and look at. This could prohibit a potential sale. Have bottled water and even snacks for you customers. Have a box of free items for people who buy from you. Everyone likes free stuff and this will help you sell more. Take your items inside at night to prevent a surprise rain shower from getting everything wet. Lock your house up during your moving sale just to be safe. On the last night of your moving sale, take your posted signs down.